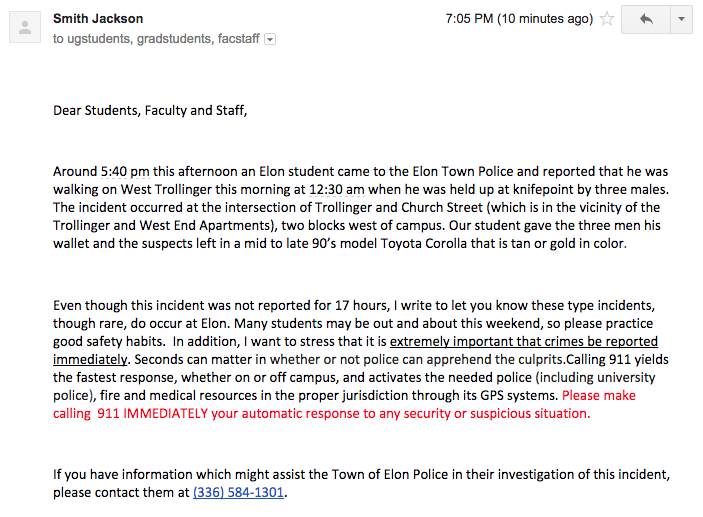 According to an email sent to students by Smith Jackson, Vice President of Student Life and Dean of Students, an Elon student reported that he was held at knifepoint Friday, August 28, at 12:30 a.m. as he was walking on West Trollinger Ave.
Jackson said the University also received an update about the home invasion on Morgan St. that students were notified about this morning in another email from Jackson. According to Jackson the Town of Police arrested the intruder Friday afternoon, August 28. The Town of Police also said that the victim and the suspect had a relationship before the invasion. The home invasion occurred at about 2:10 a.m. Friday morning in the 100 block of Morgan St., in the neighborhood Morgan Place Community a block away from the Station at Mill Point. 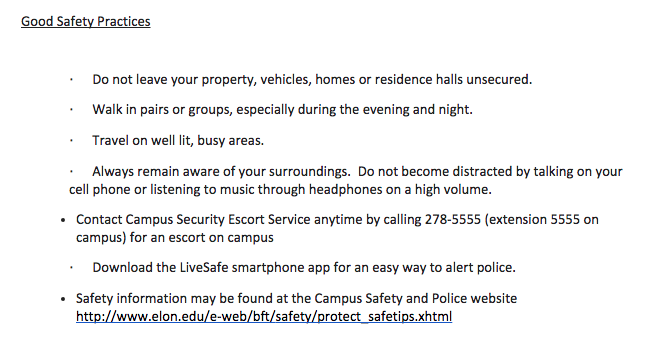 The university lists additional safety tips on the Elon Campus Safety and Police website.